Most people wouldn’t expect to see India on the first page of google if they did searches like ‘luxury train trips’ or ‘Luxury train journeys around the world’. All, no doubt, offer exceptional experiences. However, if you were to do a search for ‘luxury India train journey’, you would most definitely uncover a truly amazing national rail treasure of the subcontinent: The Deccan Odyssey. Established in 2001 and now operated by the state government of Maharastra, the Deccan Odyssey offers seasoned and novice adventure seekers alike an opportunity to experience and travel across vast distances of India while getting the so-called, ‘royal treatment’. This 5 Star luxury train experience combines the highest possible comforts in rail travel including fine dining, full bar service, day spa with wellness treatments, a gymnasium, exciting day tours and a level of personal service and attention to detail that will bring a tear to your eye when the time comes to say goodbye as the entire staff line up shoulder to shoulder waving goodbye to you as if you really were a beloved family member. 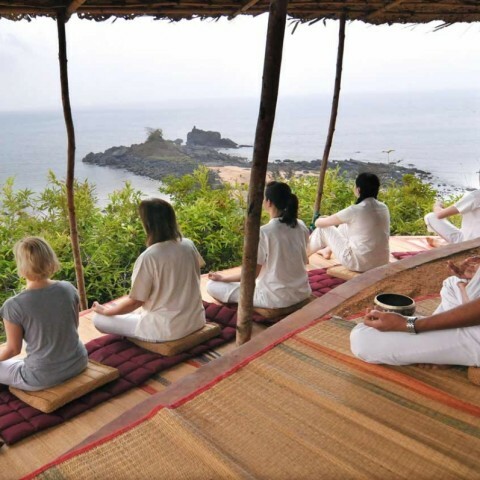 Departing from Mumbai, The Deccan Odyssey offers a number of luxury itineraries ranging from 8 day packages. Some of the day tours include the UNESCO World Heritage sites of Ajanta and Ellora Caves in Aurangabad. 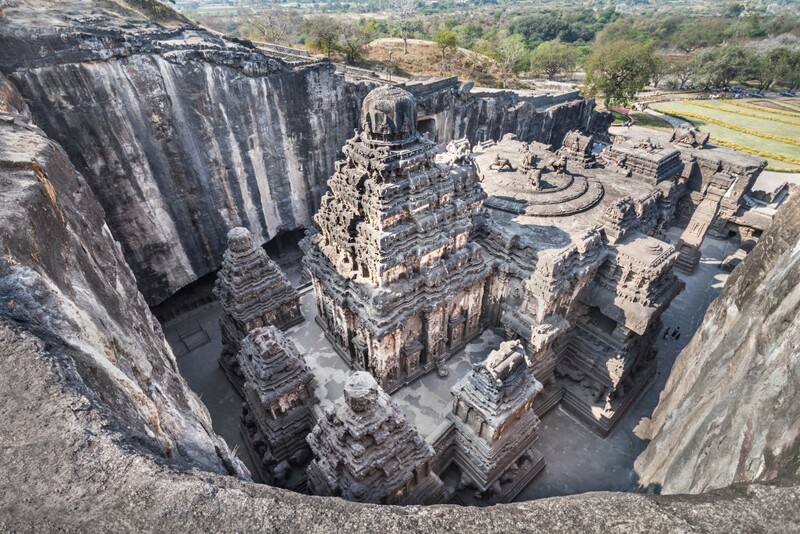 One truly spectacular example is The Kailash Temple which dates back to 735AD and is an enormous monolithic rock cut temple that has been carved directly out of the rock face from top to bottom and scooped out to form the temples and passage ways you can see today. 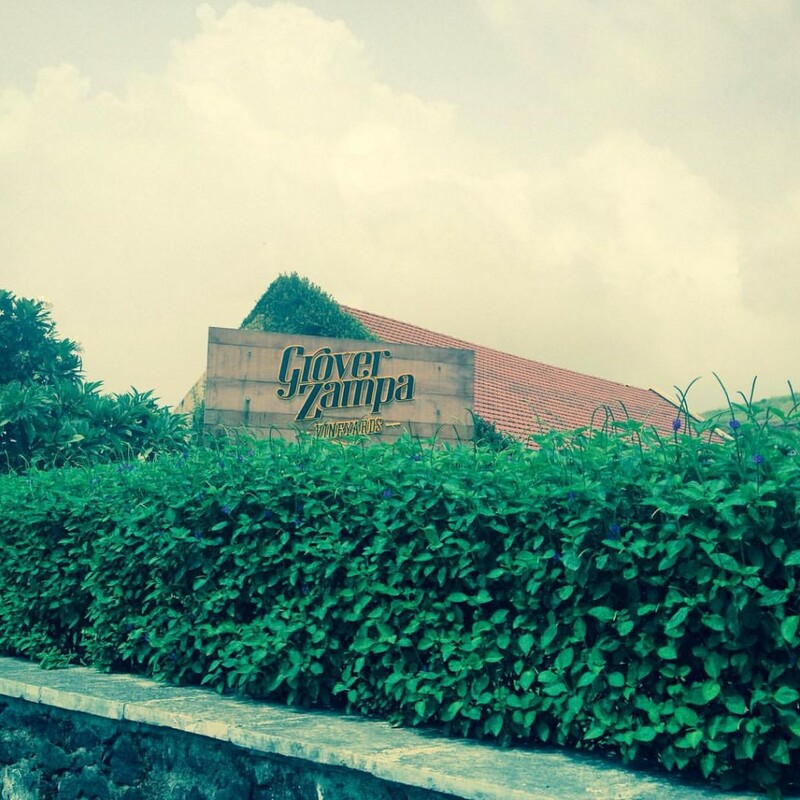 It is said to have taken more than 200 years and 10 generations to complete. 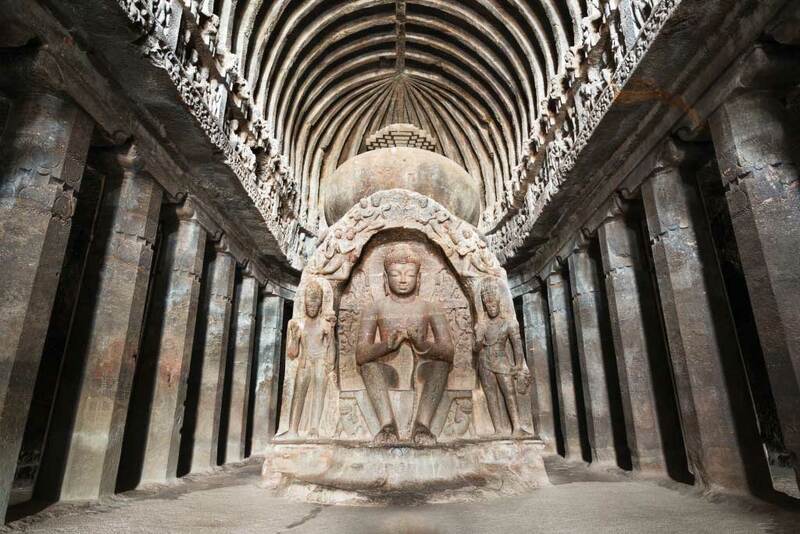 The 30 caves of Ajanta, intricately carved directly out of a horse-shoe shaped rock face within a spectacular gorge were excavated between 2nd century BC and 600AD. 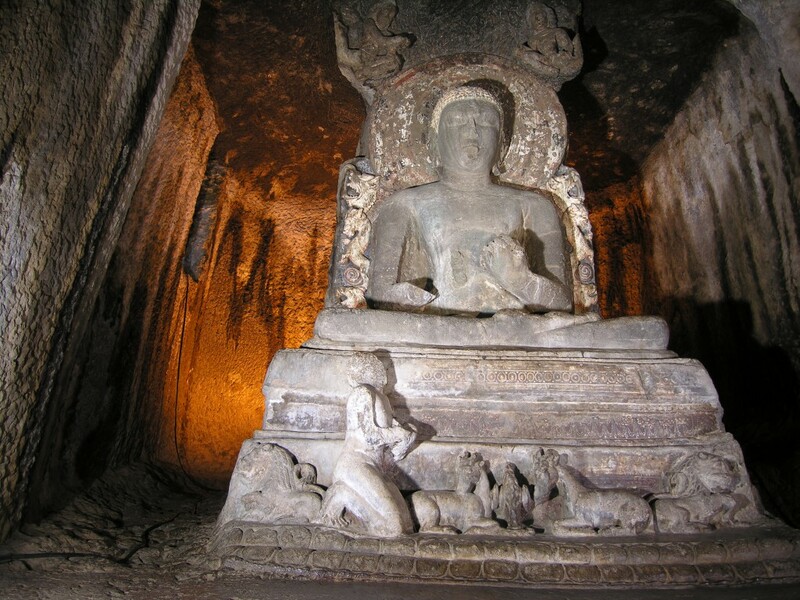 The caves are meticulously painted, with may still extremely well preserved, depicting stories of the different stages of the life of Buddha. Having been mysteriously abandoned by the resident monks of the time, the caves were rediscovered in the 19th century by the Madras army after having been empty and neglected for over 1200 years. But for those among you with more contemporary tastes, This luxury India train journey can also include a visit to India’s most prestigious wine region. Although you may not think of India as a typical wine producing country, with the help and continued guidance of some of the most awarded wine growers from Australia, France and New Zealand, India is growing to become a serious player and producer of quality wine as its appreciations grows more and more in India. 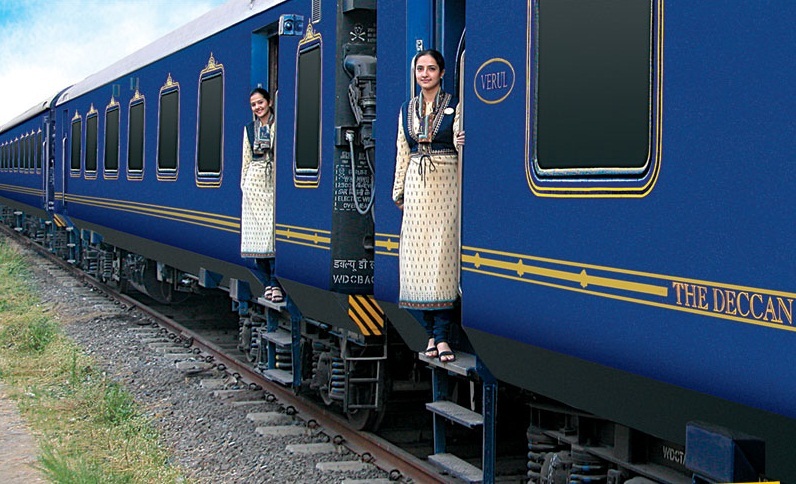 The Decan Odyssey, a luxury India train journey, does almost all of its travelling by night as you sleep comfortably and soundly with a surprisingly smooth ride. It has the perfect balance between sight-seeing, free time and relaxation since tours are usually conducted in the morning arriving back at the train just in time for your sit-down lunch in the restaurant carriages. 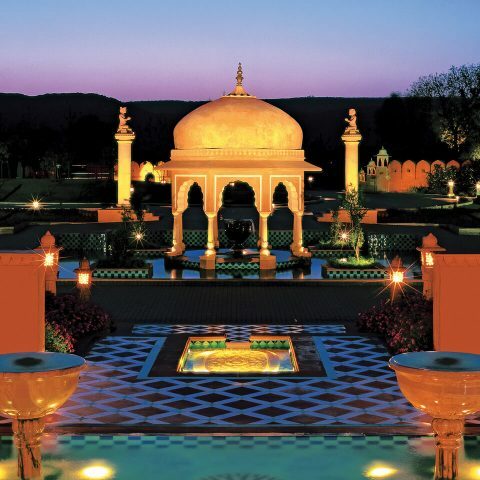 Other destinations available on The Deccan Odyssey include: Delhi, Udaipur, Jaipur, Ranthambhore National Park and Goa, with recommended travel periods within the cooler months of India being between October to March. 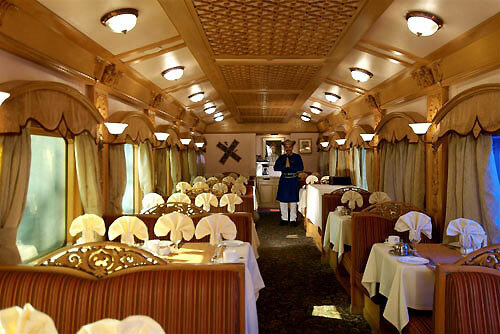 Have you taken a Luxury train journey in India? Tell us in the comments below!